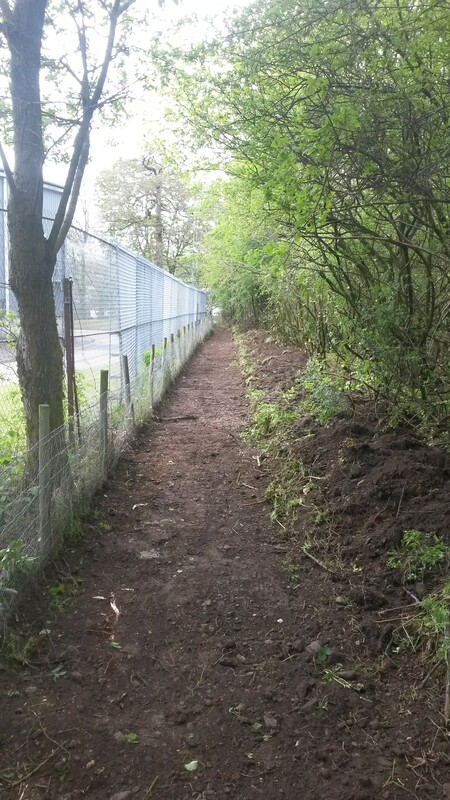 This section of path, approaching the fields, has been cleared waiting for the stone to be delivered tomorrow, Tuesday 26th May. The path has been kept open over the Bank Holiday weekend, but will be closed when the stone has been delivered and laid. Diversion signs will be in place during closed periods. This entry was posted in Footpath on May 25, 2015 by Alex McManus (Footpaths).